It can be easy to buy into the concept of any technology based on the latest developments or the most new-fangled gadgets. This is as true of business telephony as it is any other sort of electronic wizardry. Nevertheless, businesses across the south Midlands and south east of England should think twice before jumping into purchasing decisions based on technological developments. Business telephone systems should be bought or leased based on thoroughly sound business cases. This means identifying your current needs properly, making an assessment of your potential future requirements and finding a telephone solution that meets them. If, for a similar price, you are able to get more functionality, then so be it. However, if your business case shows that all you need is something basic but reliable, then there is no sound reason to over invest in business telephony either. When you are working out what sort of functionality will suit your current and future business needs, it is important to know what benefits modern telephone solutions can deliver.. Remember that not all enterprises in Oxfordshire, Buckinghamshire and Berkshire will have the same requirements or need to make similar purchasing decisions. Read on to discover the sort of services currently on offer. 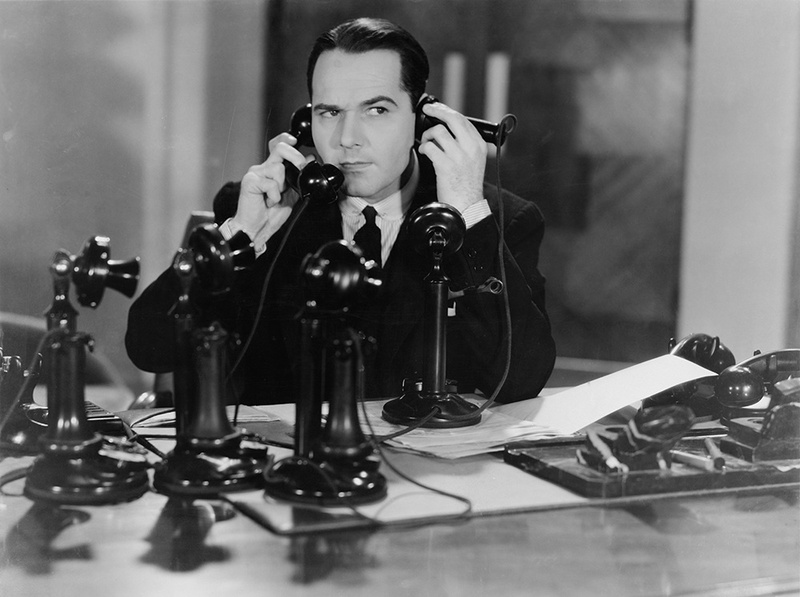 Most telephone solutions have the ability to handle a certain amount of simultaneous calls. Some will handle digital lines, others analogue lines and some can handle both and be upgraded with modules to cope with more lines being added as an enterprise grows. Cloud based solutions adopts a user licence model that can also be scaled up or down in line with customer demand. In addition, it is important for companies to be able to distribute their incoming calls evenly between their teams so that they operate with efficiency. Routing calls evenly also helps you to improve customer service by avoiding long queues at peak times. Groups can be to make sure that certain calls are handled by the most appropriate team or department, too. Computer integration with telephony services is also important for many enterprises these days. You might want a customer relationship manager (CRM) software system to be integrated, for example. These packages allow the telephone system to access customer details held in databases so that pop up information is put onto the call handler's screen immediately. In addition, recording software will also allow calls to be recorded in order to help resolve disputes or to help with the training of staff who answer customer sales enquiries for instance. Incoming calls can also be monitored in real time with additional software or licences.. This will allow you to keep track of the number of calls waiting to be answered. In many cases, this sort of monitoring allows managers to organise their teams so that clients don't have to wait too long in call queues. Historical call reports can also be produce to help identify how individuals are performing and how improvements in service can be made. Many smaller businesses now have employees working from home or in the field these days, instead of always being at the office. Such staff need to be instantly contactable otherwise they become isolated from the business as a whole. Making this easy for colleagues and customer means having the right sort of telephony tools available. Contemporary telephony solutions can also show staff availability, for example, whether an employee is on the phone, is available or is 'in a meeting' based on their calendar entry. This means being able to tell callers exactly what their options are without any delay. Essentially, this technology assists everyone in the enterprise with transferring callers accurately and efficiently. It also helps staff to collaborate with one another and to resolve problems faster because they can find the right person to talk to without fuss. Call control features are also popular among many sorts of enterprise – big and small – these days. This functionality allows staff members to have one telephone number which they give out. No matter what device they happen to be on - for example, their mobile phone, their home phone or their office phone – the call will route through intelligently to the correct handset. The key advantage of call control features is that they make it easier for customers and colleagues to reach individuals, first time. With modern telephone solutions, teams can easily join a conference call, when needed, so that three or more people can be on the same call together, thereby helping to improve collaborative work and problem-solving. Webinar services can be set up so employees can learn without needing to travel to training sessions, for example, given the right technology. This means being able to participate as well as simply listening. A good number of businesses pay for external conference call facilities nowadays which they can do away with if they opt for the right sort of solution..
Modern business telephony is not just about voice communications, either. Employees can use instant messaging services for quick updates or to receive live responses back from colleagues even if they are on the phone, perhaps on hold, but still able to type. Essentially, these sorts of services empower staff members to work away from the office without compromising on what they can do. They get just the same telephone functionality as someone in the office. Finally, it is worth mentioning that the latest business telephone technology developers are embracing so-called 'bring your own device' (BOYD) approaches to modern working practices. This means that a wide range of apps and softphone applications will work on a plethora of devices which will integrate seamlessly with one another.